Doing some heavy lifting? We have movers that can help you with your relocation. Rentalorry provides both short term and long term transport services. Got more information right here! Require a driver with your truck rental? 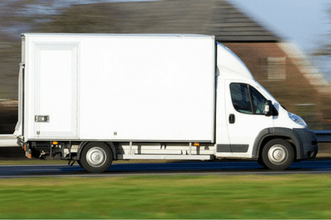 Here at Rentalorry, we understand how clients often need trucks for moving purposes but do not have the license or adequate experience to drive one. To cater to this need, we have come up with a hire package that includes a driver to help you handle the vehicle. Be it a moving job for home or the office, get our services to make your moving job hassle free and efficient. Our drivers are trained to observe strictly to traffic rules and have great experience with driving trucks. With an experienced driver on the wheel, you need not worry about getting into accidents and your goods can be transported safely to your destination. Save yourself of worries and nervousness if it would have been you or someone else operating the truck. Leave it to the professionals so that you can ease your mind of the safety of the truck and focus more on the moving job. We know how moving jobs can be tiring and frustrating at times. With a driver, he can lend a helping hand in moving the goods, making your job faster and less frustrating. Whether it is for home relocation or office relocation, we have reliable movers who can get the job done. With our extensive network of partners, we have access to a large fleet of well-maintained and efficient trucks. We are able to source for the cheapest and best truck rental deals that suit your needs, coupled with a suitable driver for the vehicle of your choice. With this network forming the basis of our internet portal, we are able to source for you the optimal choices for you to choose from. Gone were the days where you will need to email multiple companies to find out the best rates. Here at Rentalorry, we to make rental easy and convenient for you by doing the sourcing making sure you can get the best truck rental with a driver. We aim to provide the best customer service for our clients in order to make their rental process smooth and hassle free. Speak to our customer officers who are well trained and experienced in this field to find out more about how you can rent a truck with a driver at a cheap rate. Use our truck with driver services today to move your furniture, goods or cargo to make moving easier than ever!